Some people may call him an “accidental model” but his success has proved he was meant to be one. Born and raised in Delhi, Karan Oberoi never aimed at pursuing a career in modelling. After graduating with B.Com (Hons) degree from Sri Guru Gobind Singh College of Commerce, Karan completed Post-Graduate Diploma in Mass Media from Delhi University. To further enhance his academic growth, he attained a Master’s degree in Business Administration from Amity International Business School, Noida. Born in 1987, Karan Oberoi comes from an academically-rich family. This makes his story all the more interesting. Apart from his educational prowess, Karan has also exhibited his creative side with graphic designing. This helped him bag a job in one of the leading advertising agencies in India. After a successful first attempt at modelling, Karan quickly decided to quit his job and put his entire focus into modelling and acting. He can be seen associated with reputable brands like Reebok, Aldo, Jack & Jones, Peter England, Lamborghini, FTV and many more. With more than 100 commercials to his name, Karan Oberoi is the face of RE – Royal Enfield Motorcycles’ riding apparel RE. For two years straight, he has represented FBB and can be seen across their stores all over India. 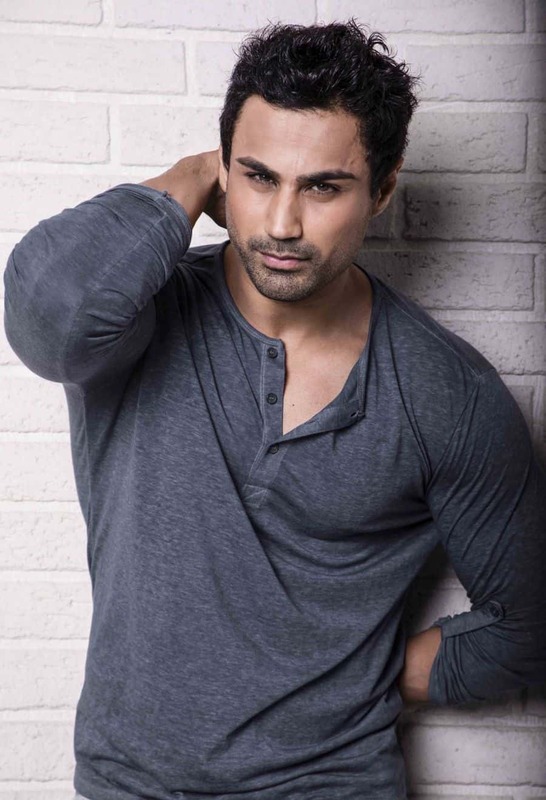 Karan Oberoi is one of the few names in the Indian modelling industry who forayed into both – fashion and fitness modelling. He has been a part of fashion events such as Lakme Fashion Week, GQ Nights, India Couture Week and more. Karan has graced the runway for many leading fashion designers of the country including Rohit Bal, Shantanu & Nikhil, and Arjun Khanna to name a few. Karan believes that modelling and fitness go hand in hand. He follows a strict diet consisting of healthy meals along with proper fitness training. Earlier in 2018, he was declared the ‘Top Fitness Model‘ by HT Brunch. He is a proud owner of titles such as ‘Best Body’ & ‘Mr. Photogenic’ which he won at Mr. India International. One of the world’s leading fitness brands, British Nutrition has appointed Karan as their official brand ambassador. He also proudly holds the title of “Youth Icon Model of the Year” presented to him by Global Leadership Awards in April 2018. Karan strongly believes in spreading peace all over the world. For his efforts, he has been appointed “World Peace Messenger” by World Peace & Diplomacy organization which works closely with the United Nations. Karan Oberoi has already created murmurs in Bollywood this year. Filmfare magazine called him ‘Hottie of the Fortnight’ in October 2017. With his eyes firmly set, he is keen on becoming a part of Bollywood in the coming years. Shruti Gupta is a writer and digital marketing consultant at Rankmebest.com. She has a passion for technology, startups and other business topics. She lives and breathes digital marketing, and has contributed to a number of famous websites. Her aim is to spread her thought-provoking ideas to all generations.